Småland is a province of more than 6000 lakes, and there is hardly a campsite that is not near fishing, rowing boats, paddling and swimming. This is a paradise for pike and perch fishing, with options for those who prefer not to spend their time bobbing in a rowing boat – the ever-magical Småland forests are never far away. Whatever you choose, this is a holiday paradise if you are looking for peace and quiet. 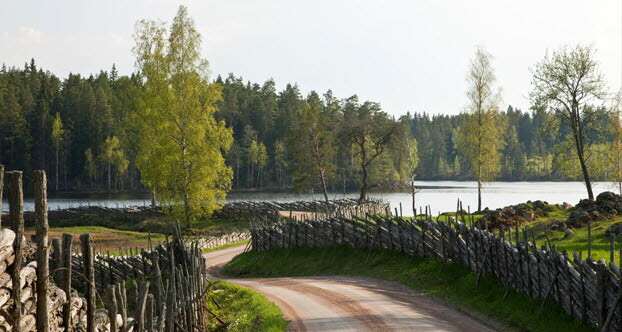 Småland has become a bit of a symbol of the old farming Sweden. Remains of the old smallholding landscape are still here alongside the extensive forests, famous glassworks and exciting Baltic coast, which is crowned by the legendary island Blå Jungfrun. Blå Jungfrun is a national park with a mystical stone maze that fascinates and puzzles. Visit the Kingdom of Crystal, where their world-famous Swedish glass from Kosta Boda and Orrefors is made. There are several glassworks here where you can stand in the warmth and watch the glass-blowers shape the glowing melted glass. In some places you can even blow your own glass. If you make your way to the charming small town of Gränna, you can visit several rock candy makers and see the colourful rock candy being made. From Gränna harbour it’s easy to get to the island of Visingsö in the middle of Lake Vättern. 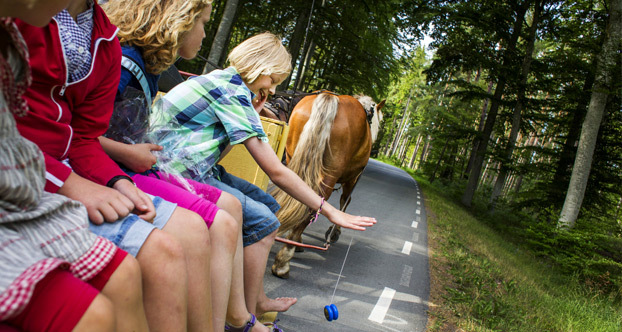 There you can try ‘remmalag’ – the horse and cart that is characteristic of the island. 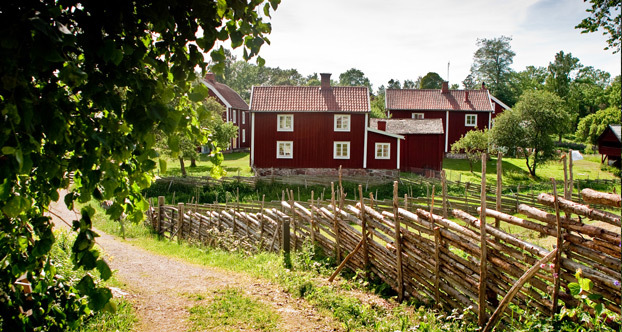 Småland has many museums, manor houses and other cultural sights. You can visit a museum with matches, shop at Ur-KEA (the world’s first IKEA store in Älmhult) and meet the moose in one of the moose parks in the area. High Chaparral - The real Wild West on Swedish soil. The gunpowder smoke lies thick on the ground, and there are action-packed and explosive shows with masked train robbers and Lucky Luke throughout the day. Astrid Lindgren’s world - in the world-famous children’s author’s birthplace Vimmerby. Everything that happens in the theatre park is based on Astrid Lindgren’s stories. After the performances, the children can play with Pippi Longstocking, Emil, Karlsson and the others.